Next week I’ll be participating in the Harvest Halloween Hop, where I and other bloggers will be giving away fall and Halloween themed prize packs. 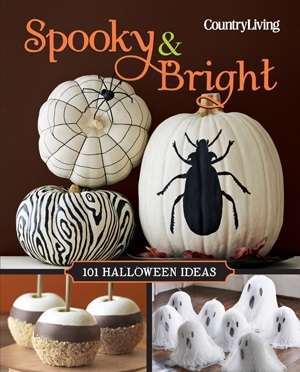 One of the items I will be giving away is a copy of Country Living Spooky & Bright: 101 Halloween Ideas . 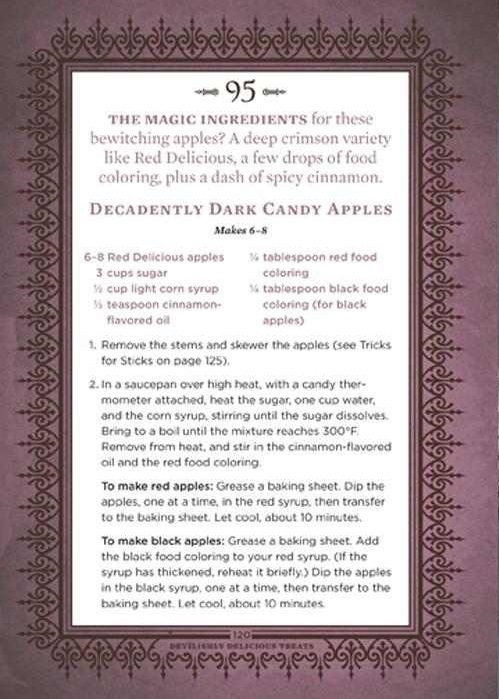 This book has over 101 fun recipe and craft ideas for fall and Halloween. Whether you’re looking to light up your porch or mantel with a warm, bright pumpkin display or to create a spooky tablescape for your next Halloween party, this book has something for you. Each project includes color photos as well as a full set of materials, instructions, and necessary templates to complete the project. Whether you’re a beginner or expert crafter, you will have hours of fun getting your home in to the Halloween spirit with help from this book. Today as part of this review and giveaway preview, I’m sharing recipe project from the book. 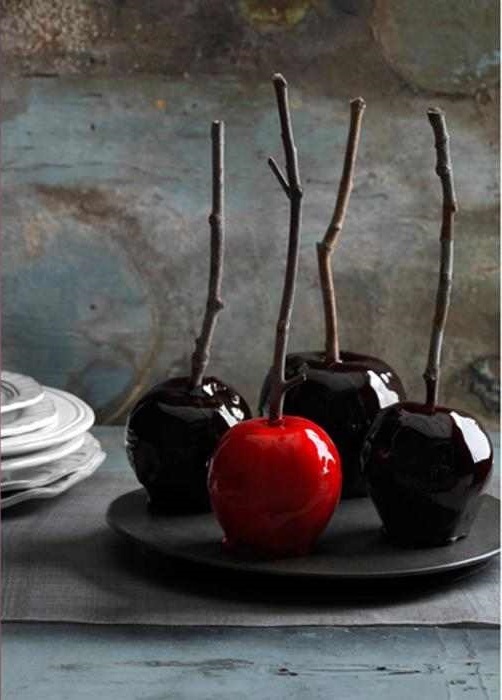 These Decadently Dark Candy Apples will not only set the mood at your Halloween party, but will also taste great. Check them out! The Harvest Halloween Hop starts Oct 1, at which time I will be giving away a copy of the book. Stay tuned! In the meantime, if you just can’t wait to get creative, you can order a copy of Country Living Spooky & Bright: 101 Halloween Ideas from Amazon! Disclosure: I received a copy of this book for review purposes. This post contains Amazon Affiliate links. The opinions herein are my own.